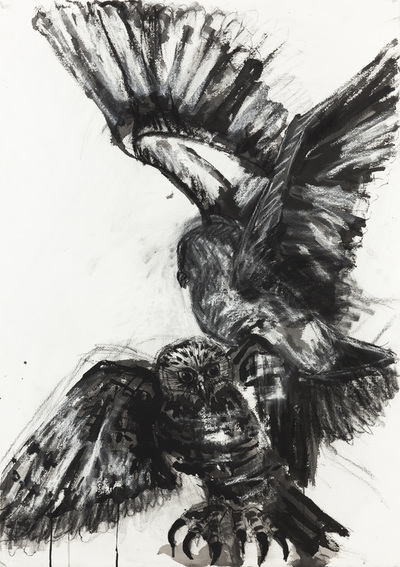 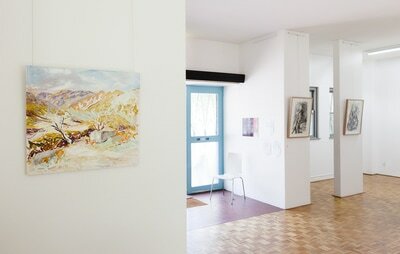 This solo exhibition of work has been a process of over 12 months travelling many miles back and forth from Sydney, setting up camp, fighting wind, rain and flies and generally being at one or at odds with nature! 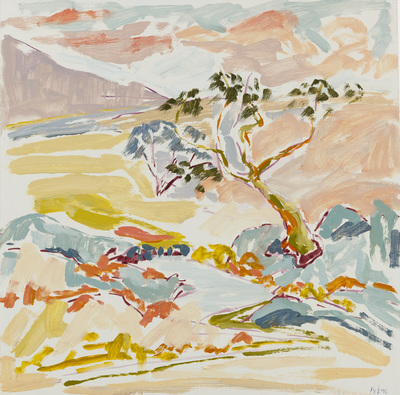 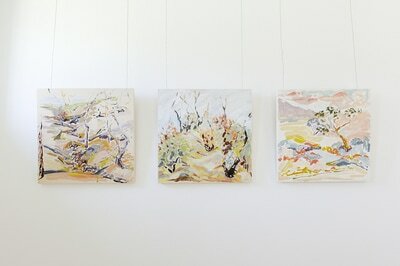 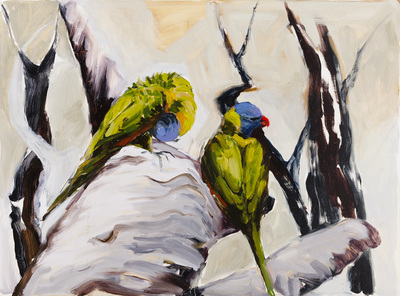 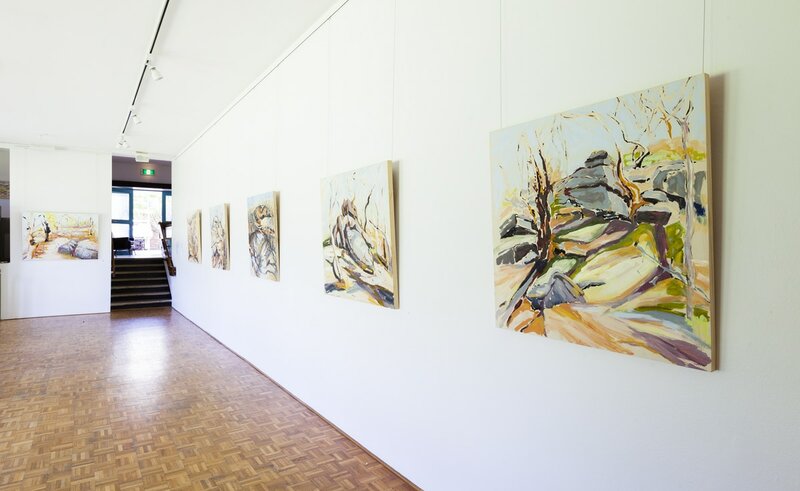 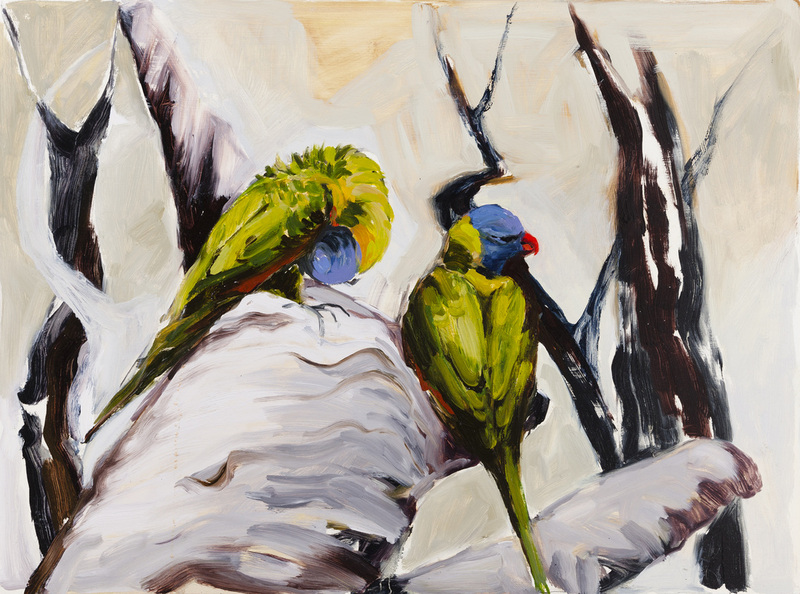 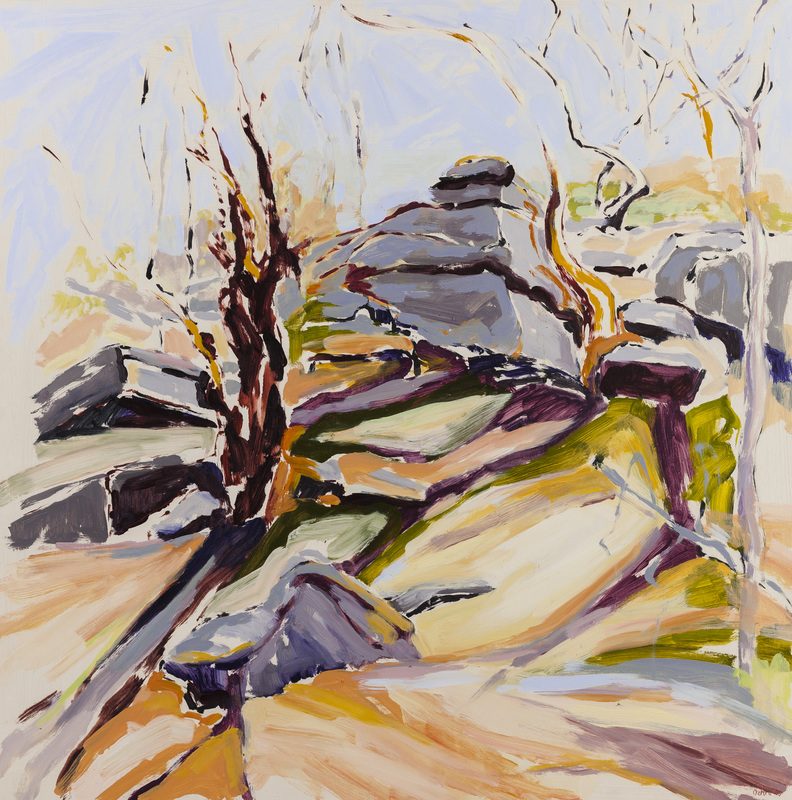 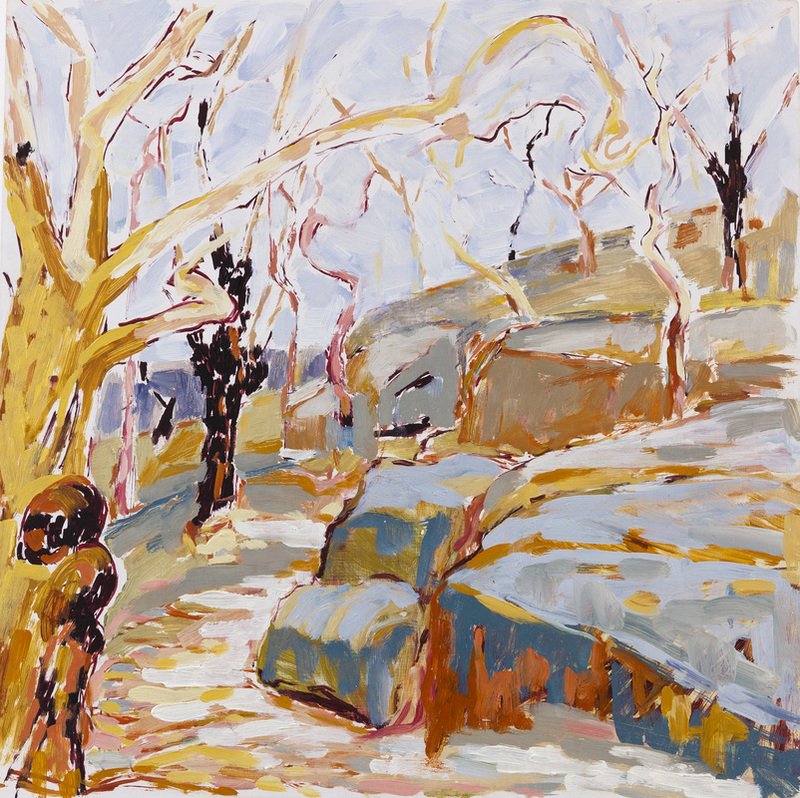 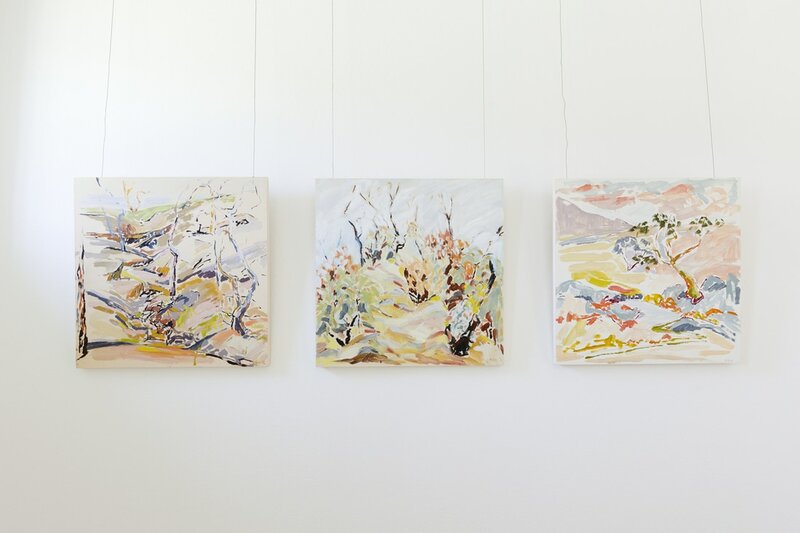 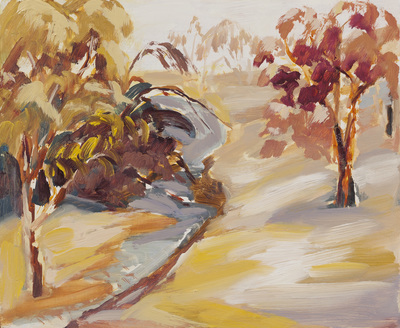 All these works have been painted 'en plein air' or directly from nature in wilderness places such as Gardens of Stone near Lithgow, or the nature reserves and national parks we are still lucky to retain in Sydney and land up in the Hawkesbury region. 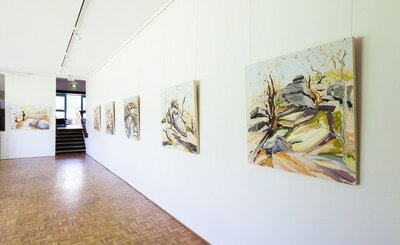 Basically I had to go wherever the BOM told me to go! 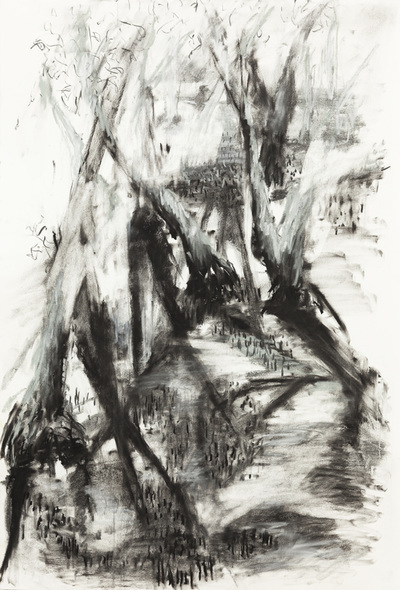 In this body of work I am interested in the initial drawing marks being part of the finished painting, using non-literal colour but colours that are inspired by maybe a single element in the bush, shapes, textures and the underlying essence of the land as I feel it when I am there. 'En plein air painting is important to my practice as my hand is painting not just colour and form, but sound, movement and atmosphere. 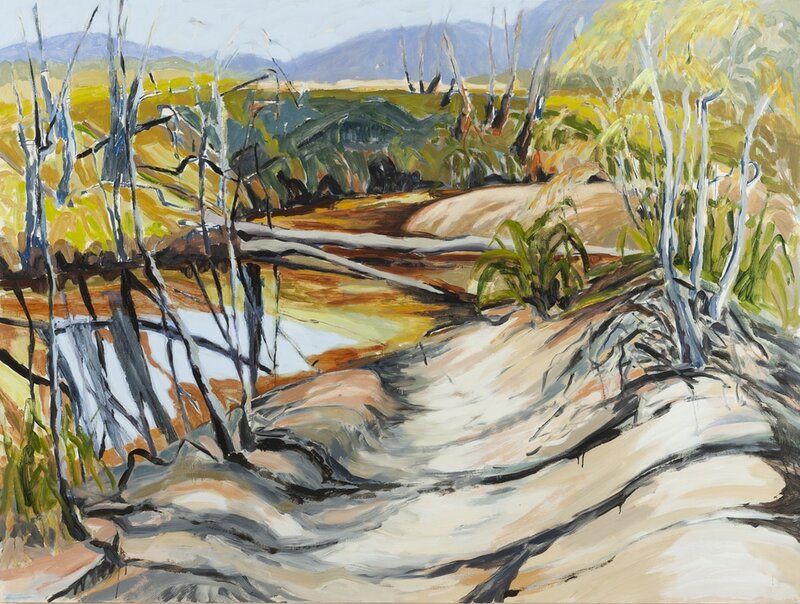 I am painting the heat, cold and wet, the snakes slithering past accepting me as part of the landscape, the goannas stomping around unseen under long grass, the chattering birds sitting right above commenting on my use of colour. 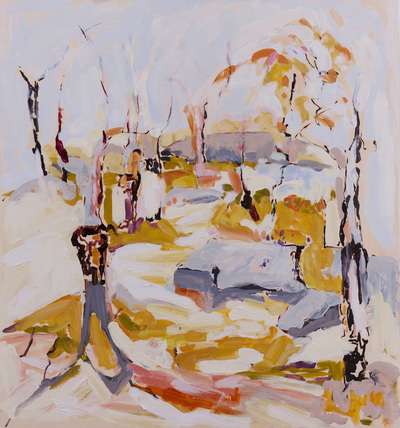 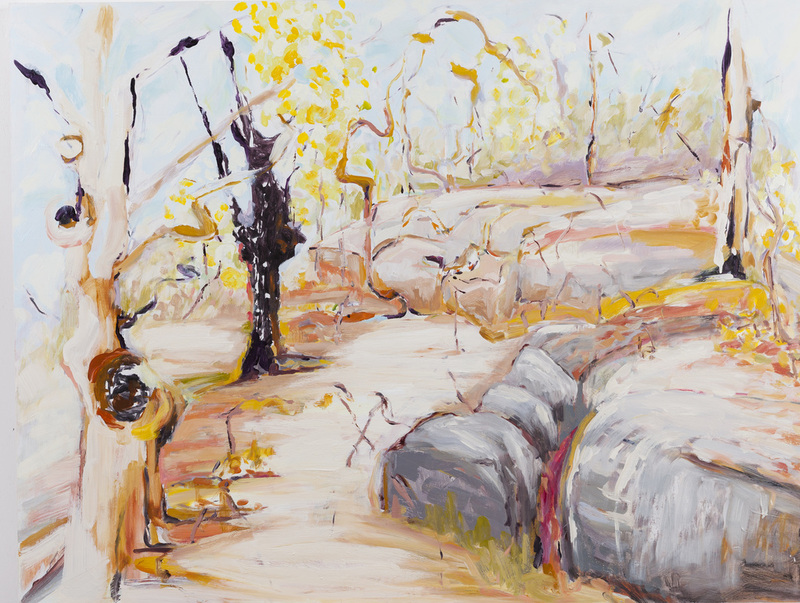 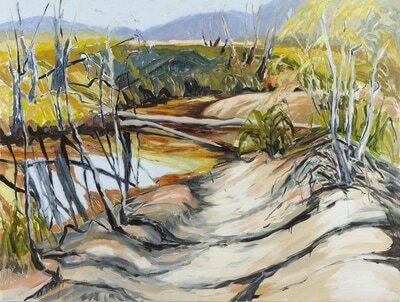 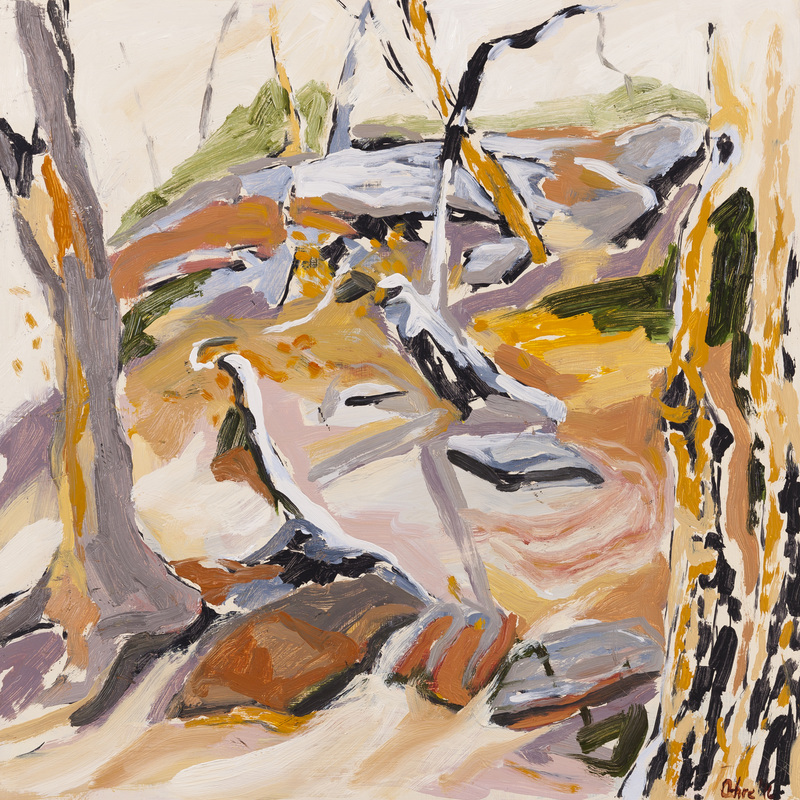 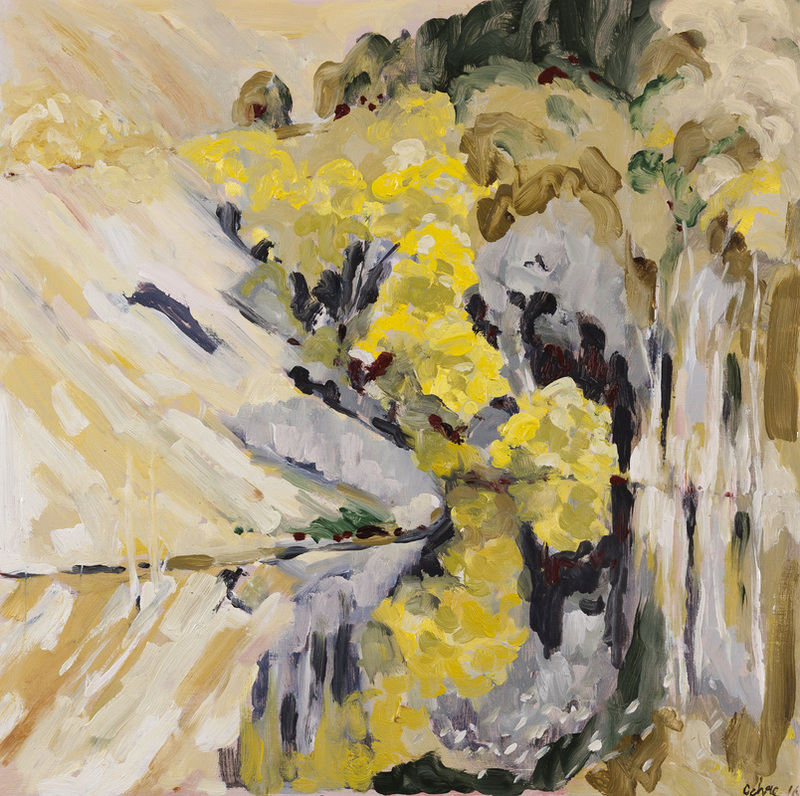 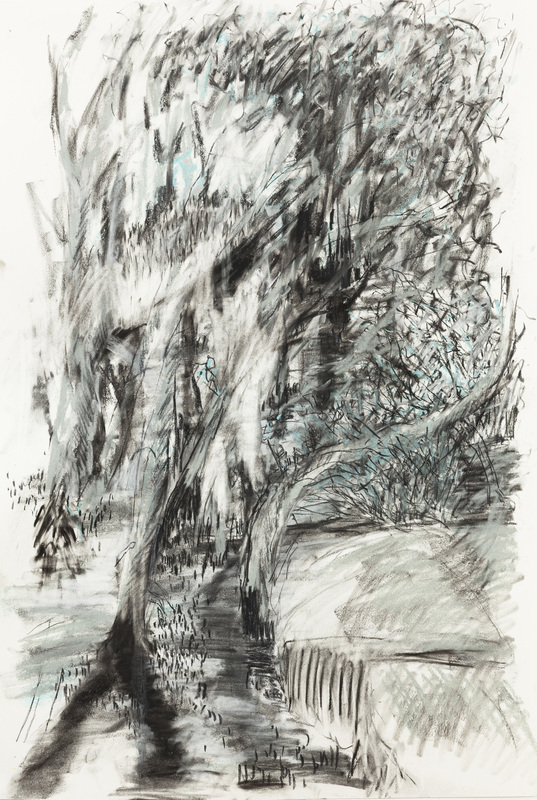 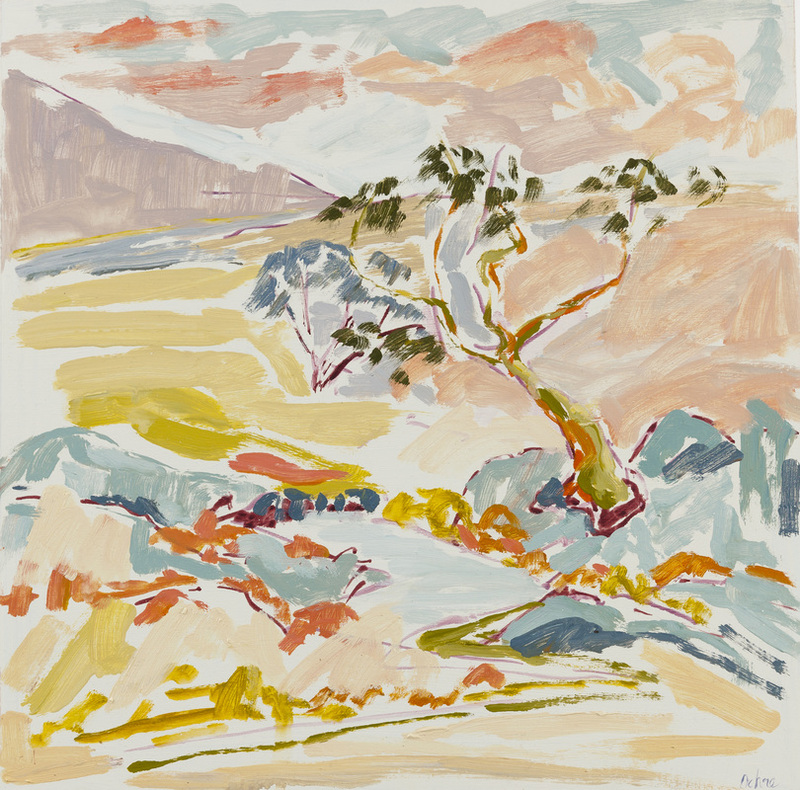 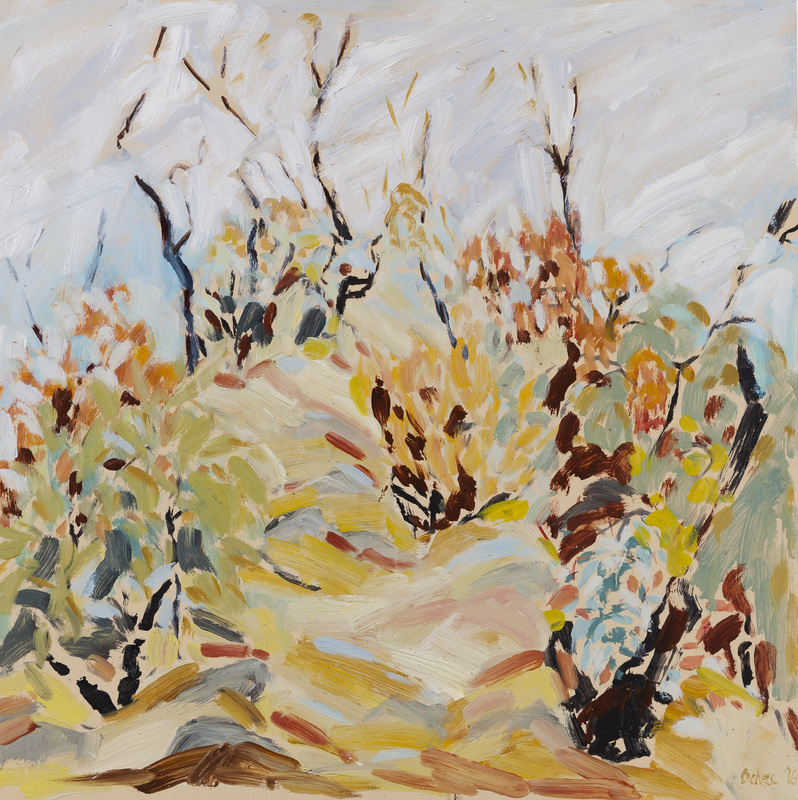 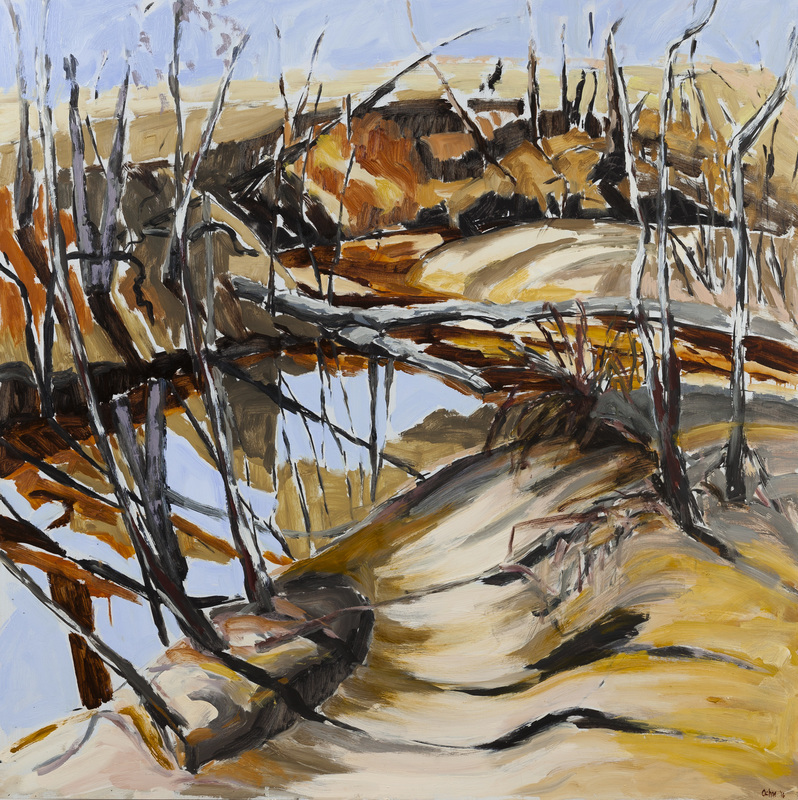 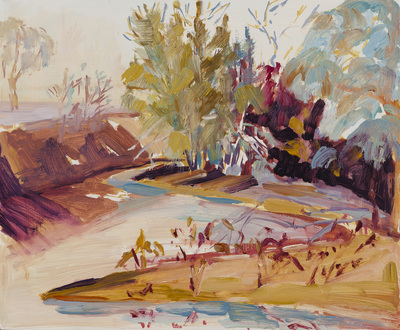 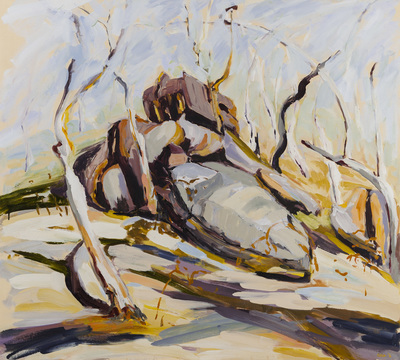 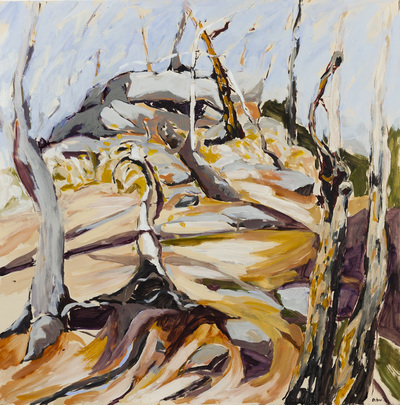 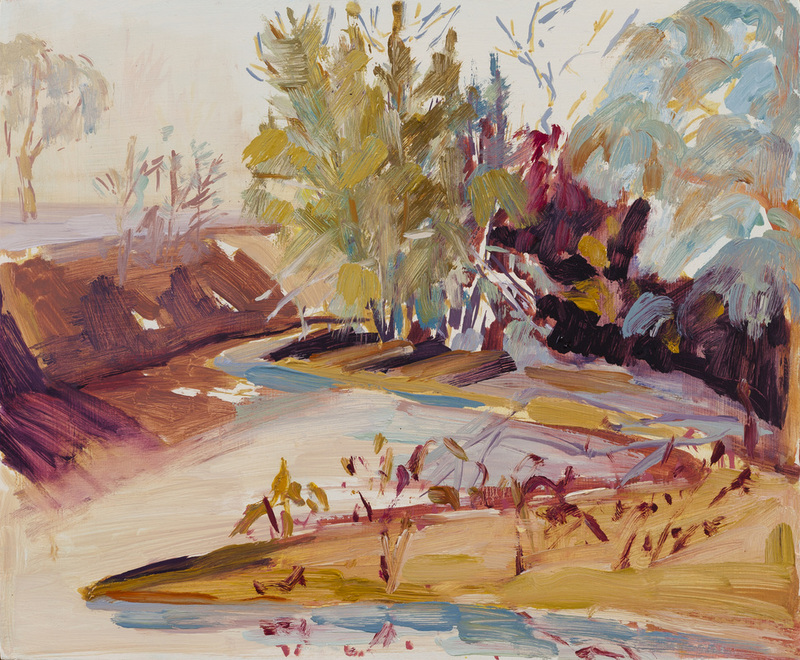 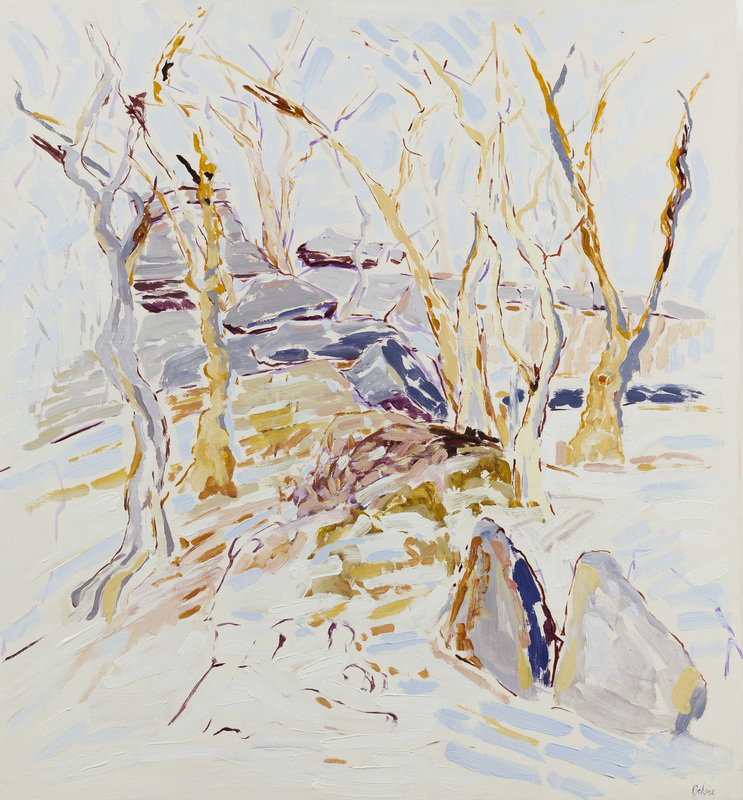 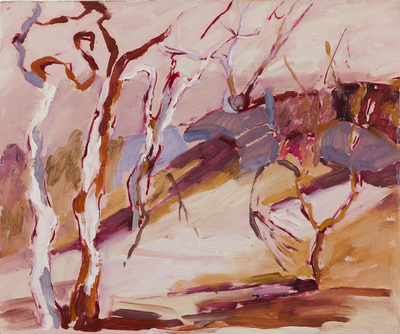 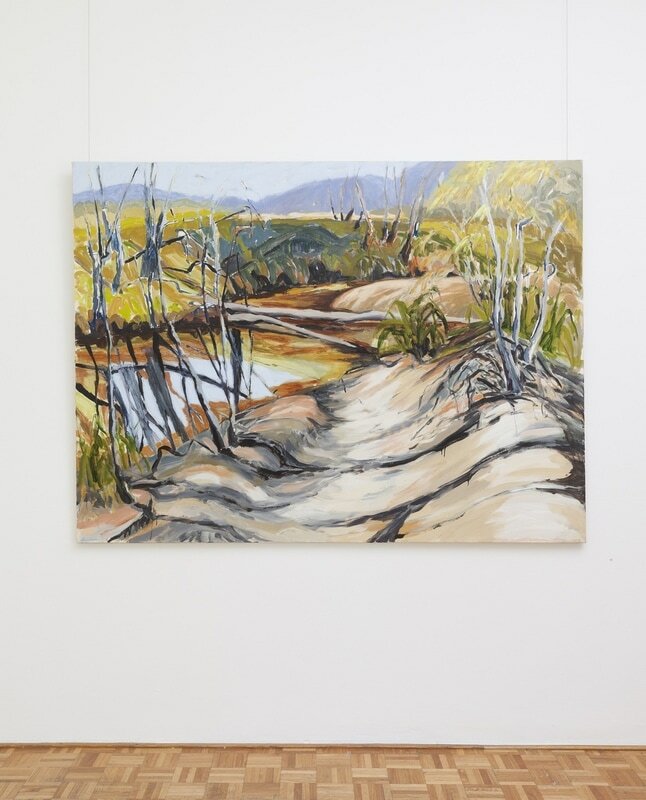 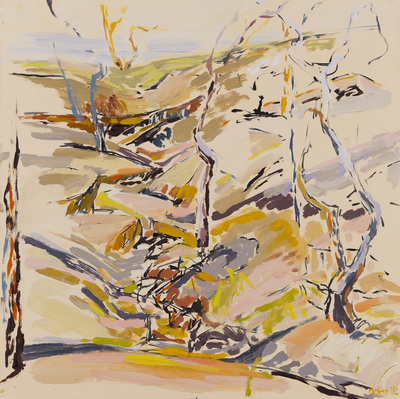 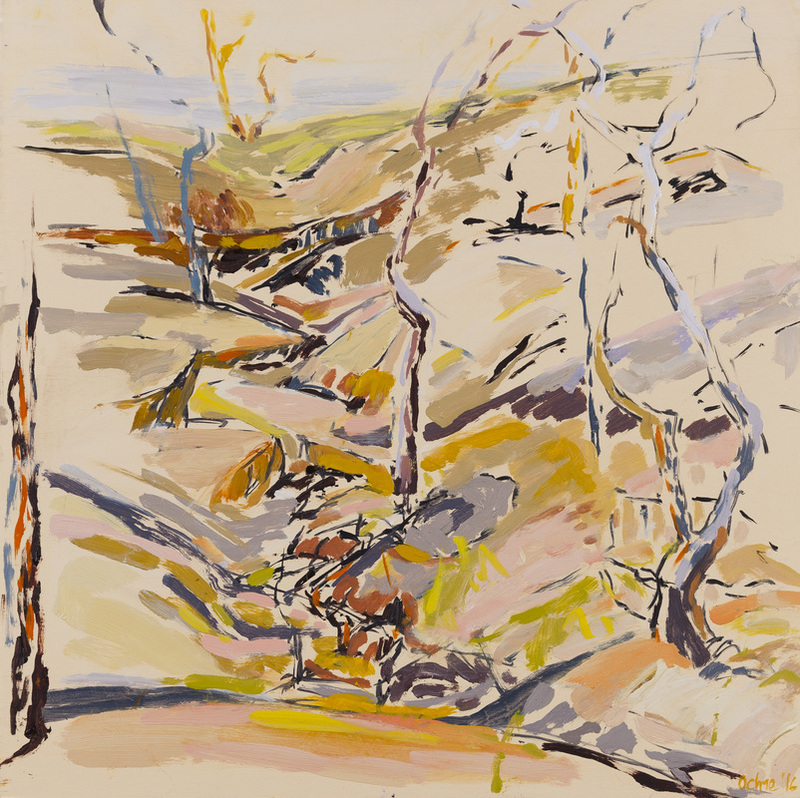 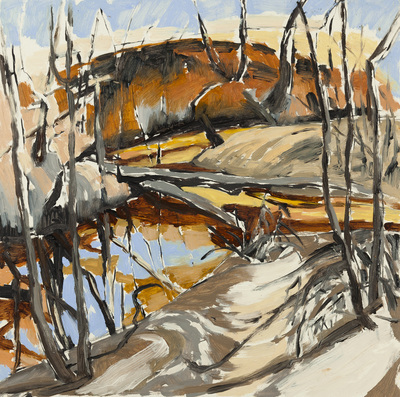 Painting within the bush becomes not just an observation by an objective journalist but an intimate felt interpretation of being part of the landscape. 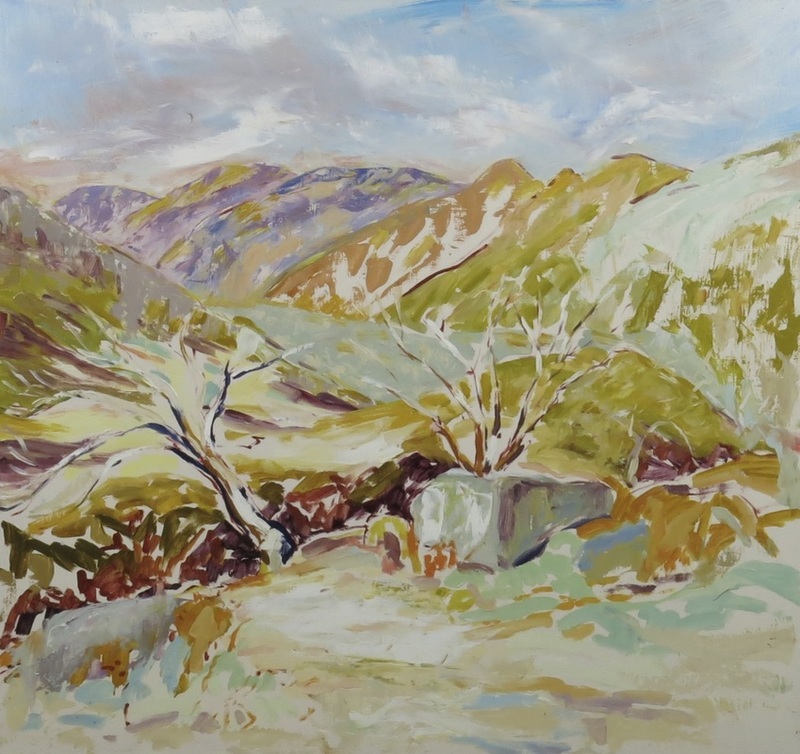 Wild nature is teaming with life, diversity of colours, constant movement whether it be a gentle breeze, a wild storm or a pulsating humming heat. 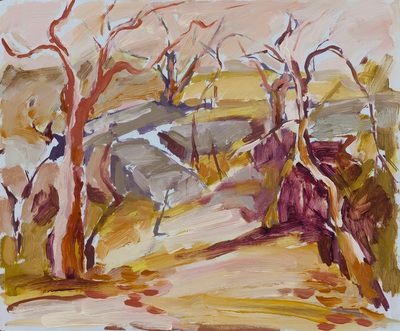 I love this Australian bush in all its savagery and softness. Click on any image to see full size, dimensions and prices.